Zing 72 Gin, a hand-crafted imported Gin from France, made with 6 Botanicals and 6 Provincial Herbs, distilled in small Copper Alembic Stills. Inspired from medieval alembic, ZING 72 is handcrafted in the South of France, on the riviera where provençal herbs are know to be the best. 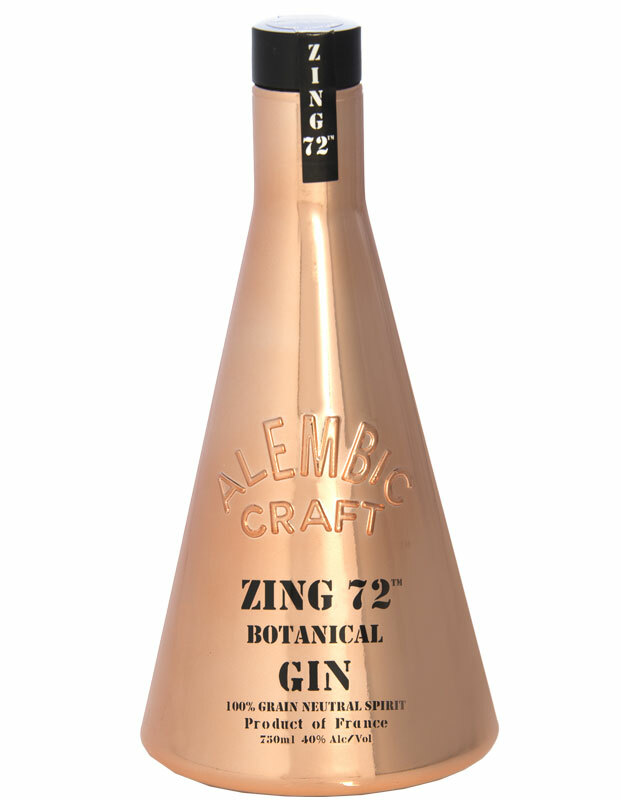 Made of winter wheat, Zing 72 an elegant mix of carefully harvested 6 botanicals and 6 provencal herbs . The Gin is distilled in antique-like small copper alembics in our small distillery. The maceration of the botanics last 72 hours, achieving an incomparable smooth taste.We created a cocktail call moGINo similar to a Mojito but rum is replaced by ZING 72 Gin. The taste is delicious and refreshing. ZING is inspired by the old-french slang Zinc, which means copper and refers also to any old metallic machine.